This young women is part of an escaramuza team of eight riders, mounted on charro style sidesaddles who perform a string of complicated geometric movements at a full gallop. 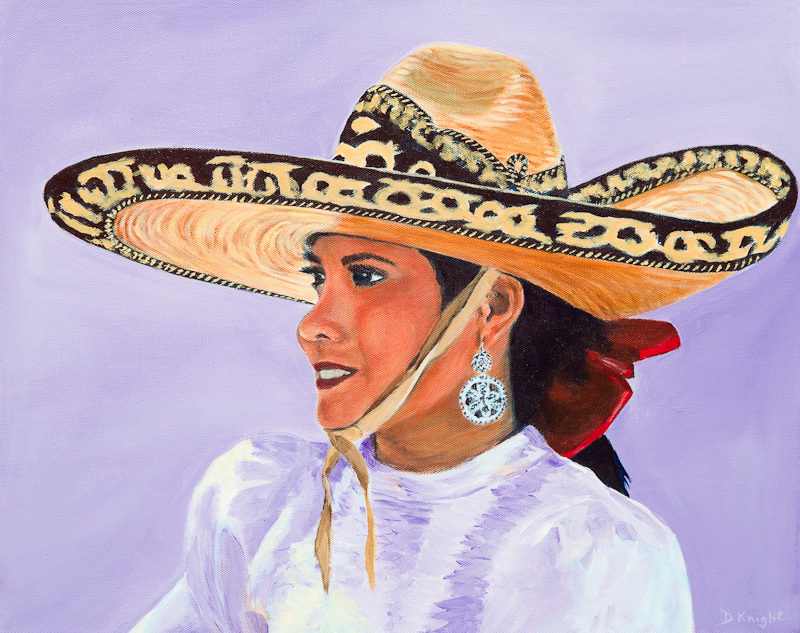 They visited our small town of Todos Santos last year wearing the traditional full-skirted Adelita style dresses and this gorgeous wide-brimmed sombrero, the customary charro head gear. Reminded me of a cross between the cowgirls who perform in the Calgary Stampede and the Royal Canadian Mounted Police musical ride. Just a bit prettier! !